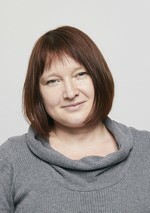 Veronika Cervinka-Janýrová is Project Manager at wiiw where she started in 2004 to assist in setting-up of international research consortia and co-ordinate the administrative, financial and legal aspects of EU-funded research projects. Since then, she administered almost 100 research proposals and projects. From her educational background, she is simultaneous interpreter (Czech – German - Czech). In 2005, she graduated at the Center for Translation Studies at the University of Vienna (Mag.phil) and has obtained her Master of Business Administration degree at the Open University Business School, UK, in 2012.